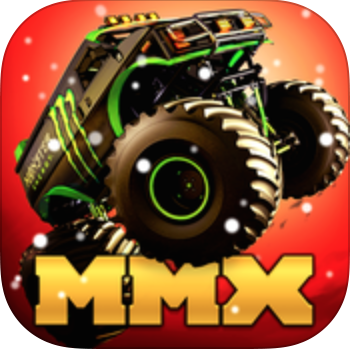 MMX Racing is a monster-truck-jumping, gas-pedal-pumping, dirt-track-bumping free game. Like most other racing games out there for free, MMX follows the freemium free-to-play format, which racing games so easily lend themselves to. You start by buying a truck (with the in-game currency) and as you advance through the game, you upgrade and customize your truck into a masterpiece of the eye and the track. Your truck, though, will only take you so far into the game. Once you get really good, you’ll need a completely new truck for a completely new circuit. This is where the real money comes in. In order to keep up with the artificial competition, you’ll need to pump in your own money. Although, you can still play a lot without doing so. MMX Racing is a game with good depth, yet, you’ll never feel lost in the various racing circuits, part upgrades, truck customizations, or anything else. You’re supplied with a great resource, a guide of a sort. He is there to help you with everything. The guide is so extensively helpful that when you earn enough money after a race to purchase a new upgrade for your truck, he’ll alert you that you can now buy it. Furthermore, if you try to race competition that your truck is not going to keep up with, he’ll try to convince you to save your time. Following along with the depth of the game is the plethora of options for racing. There are a multitude of tracks to race on (depending on the race you select, the tracks are pre-selected, so you can’t choose, nor can you ever enter a practice mode to work on your technique on a track). Different races supply the winner with different cash rewards. There are a bunch of different types of races to enter. There’s the daily matchup, the MMX Exhibition, the Ladder, David vs. Goliath, Prime Time, and even more, each with its own (slight) twist on rules. So how do you actually race in MMX Racing? It’s simple. You just control the gas pedal. The tracks are straight and require no steering. The only things really are the start, taking-off of jumps, and landing jumps. To start the race, you must tap the gas pedal to rev your engine to the ideal starting rpm. When heading up a ramp, as soon as the front wheel reaches the edge of the ramp, release the gas pedal. Then as soon as any wheel touches the ground again, slam back onto the gas pedal. All races are head to head, meaning it’s just you against one other truck, who races in an adjacent track. That’s all there is to it. As you can tell, the races are fun but nothing too special. What makes MMX a great game is all the customizations and storylines outside of the individual races. MMX has great graphics, is very easy to play, can easily kill 20 to 30 minutes in a clip, and is a fun game overall. It’s not the kind of game to envelop you for days at a time, namely because once you run out of tickets (which you have to spend to enter races), you’ll have to wait for them to recharge (or, of course, purchase more tickets). They’re not too chintzy with tickets, so you can still get a good session of MMX in, but then you’ll have to put it down for a while, which was surprisingly not as annoying as it tends to be in other freemium games. Some drawbacks that are soon to be addressed: no multiplayer in a game that lends itself to multiplayer action, not much variation in racing styles, and that’s about it. I recommend giving MMX Racing a try, it is free (to play) after all. 7/10!